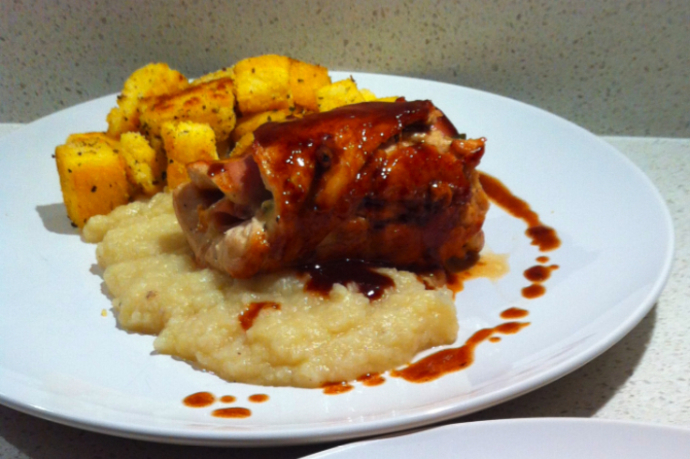 Chicken Involtini and Polenta merges two of my family’s long held favourites. 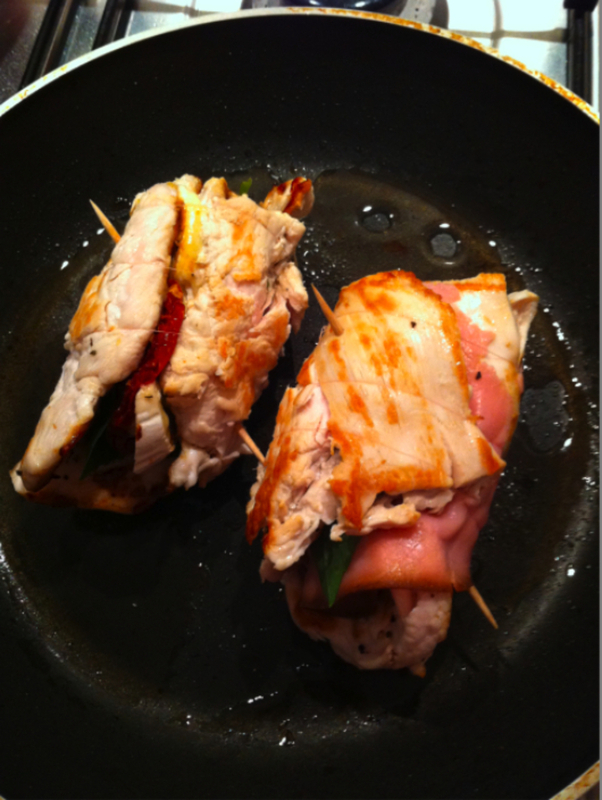 Hailing from the South of Italy, my mum would regularly make Involtini’s either with chicken or veal and even eggplants. 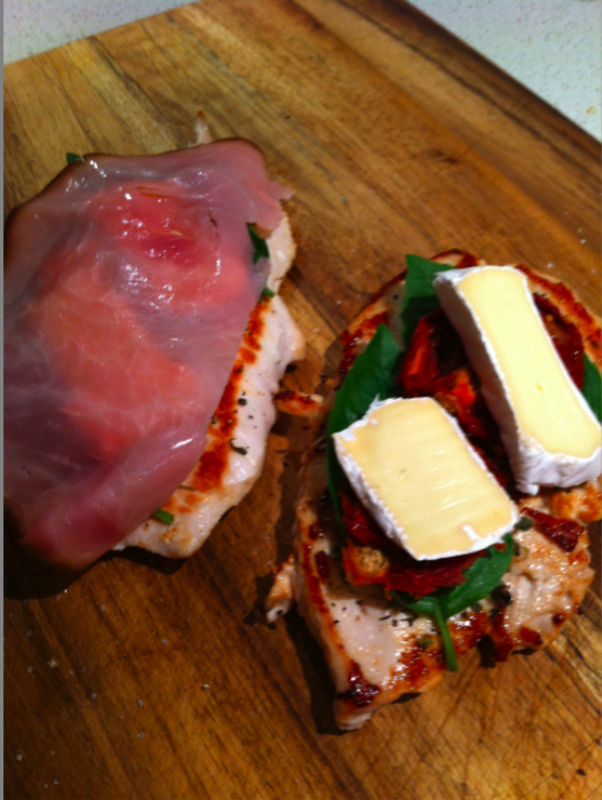 When she married my dad she learnt to combine her southern culinary palate with an Austrian-Slovenian-Italian twist. 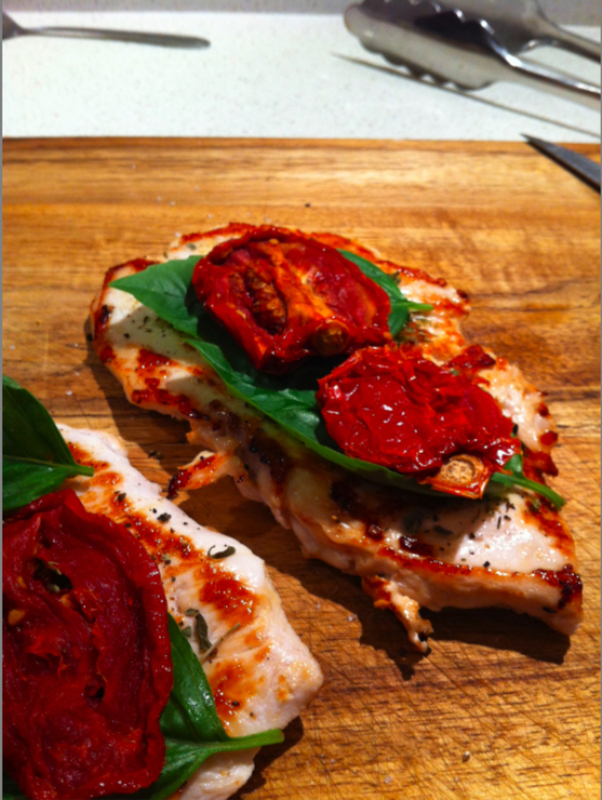 I’ve borrowed my mum’s interpretation of this dish and given it a little twist of my own. 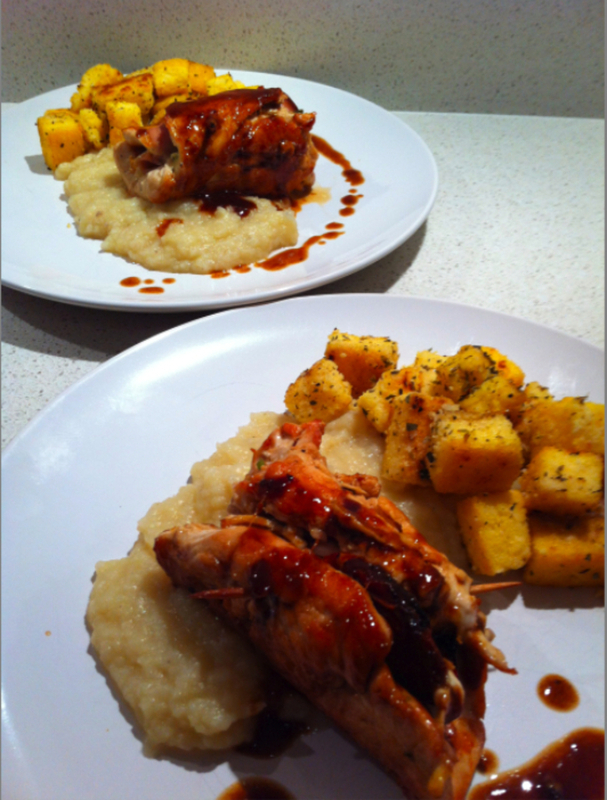 I hope you enjoy my Chicken Involtini served on Cauliflower Puree with Polenta Bites. 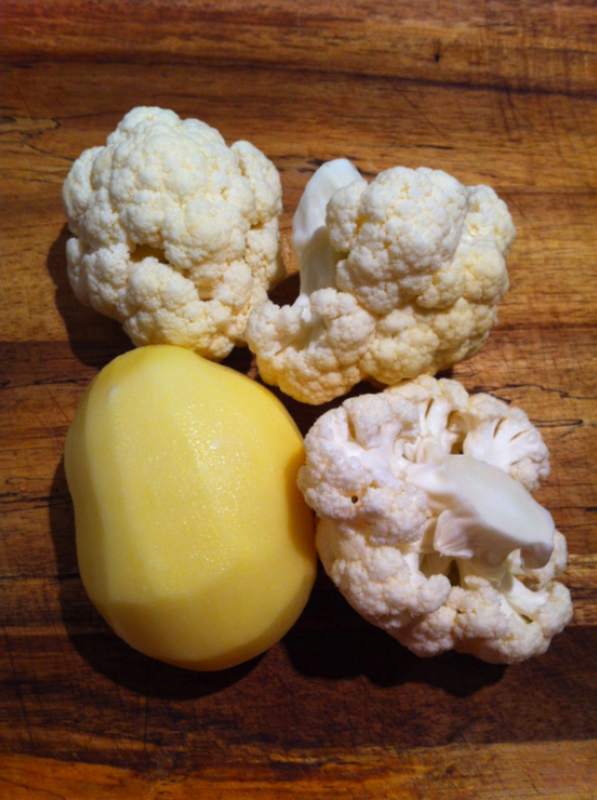 Peel the potato and dice cauliflower into smaller pieces. Place all ingredients including the pepper and mushroom stock cube into a pan, cover with water and bring to the boil until ingredients are tender and all water has been absorbed. 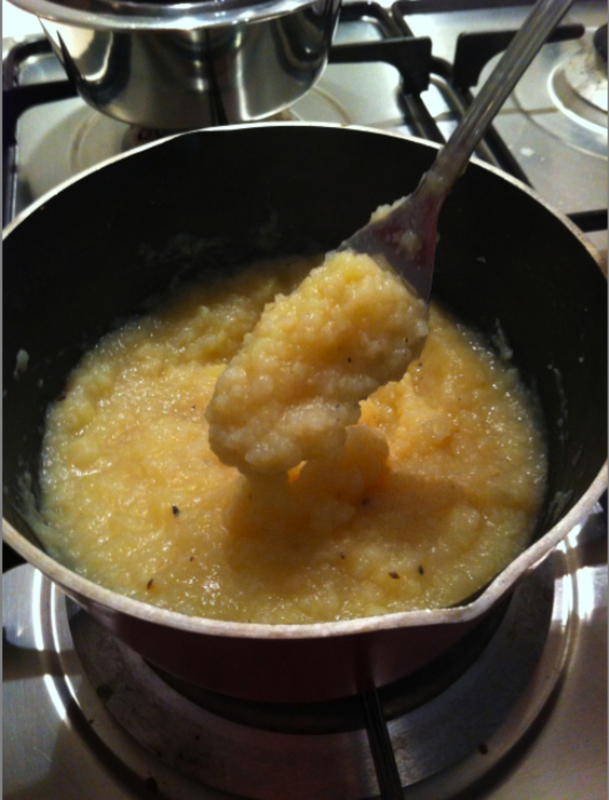 Add a dollop of butter and using a fork whip the cauliflower into a puree (it should have a porridge like consistency). Set aside. Use this recipe to make the polenta bites. 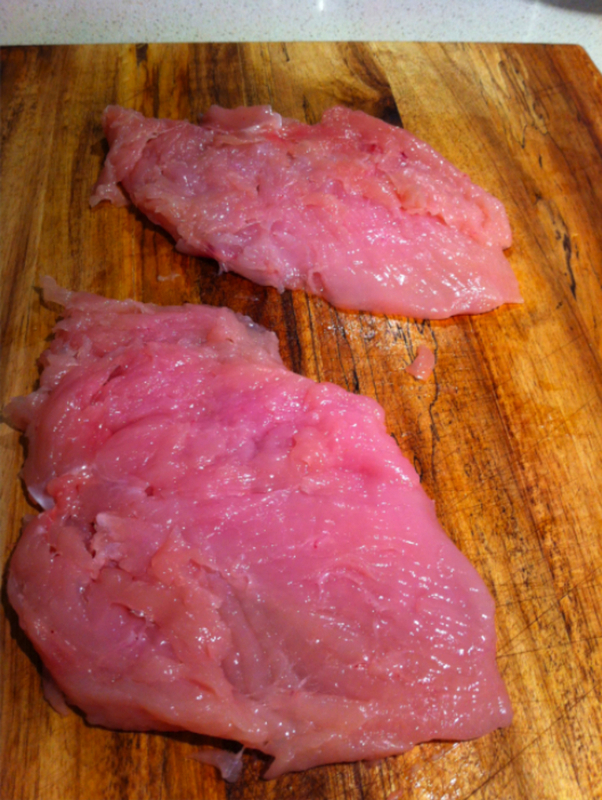 Cut the double chicken breast into separate halves, trim any fat then flatten with a meat tenderiser. 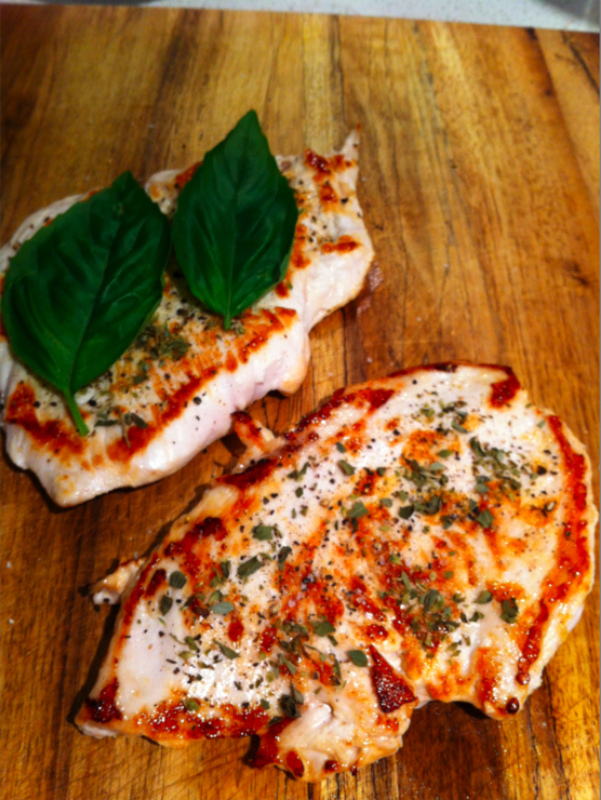 Using a small amount of olive oil, pan fry the chicken breasts until a pale golden colour (the trick is not too over-cook). This should take approximately 5 minutes on each side. Remove chicken and let rest for 10 minutes. 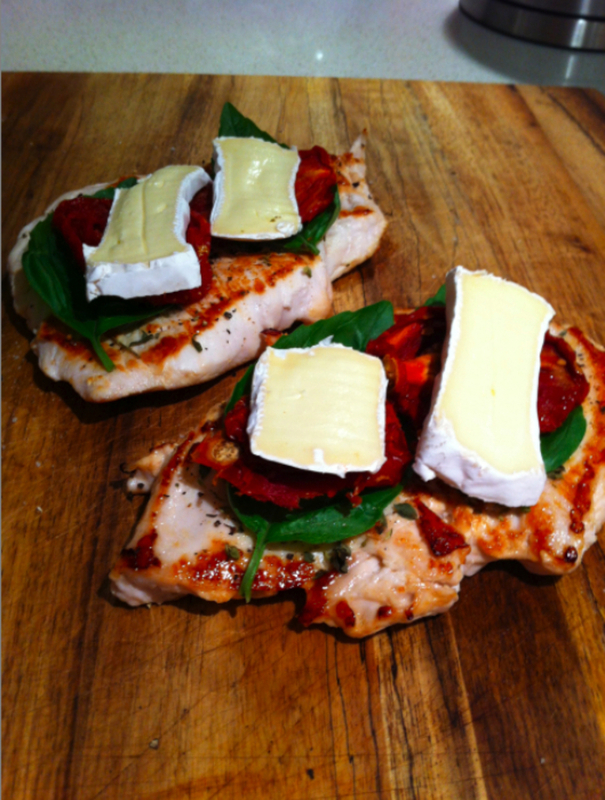 Layer the chicken with basil, followed by sun-dried tomato, camembert cheese and smoked ham. 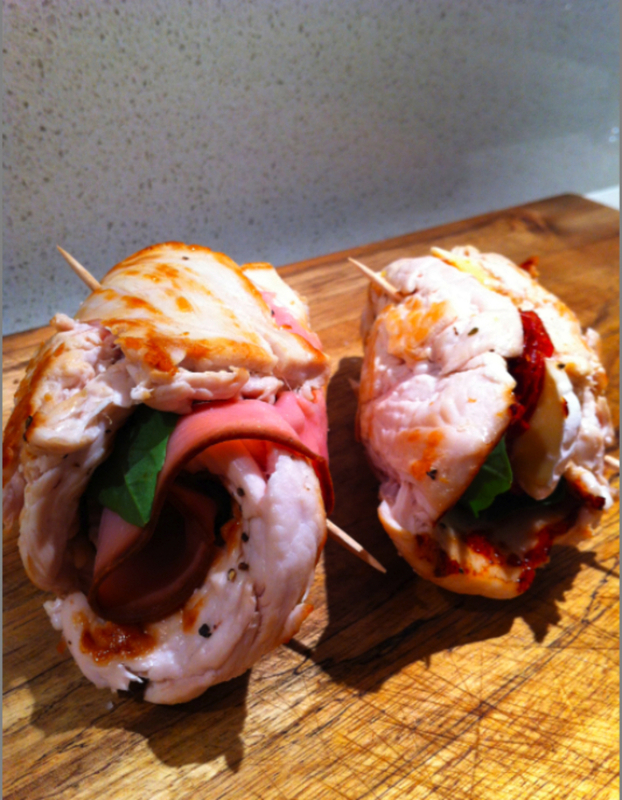 Starting from one end, roll the chicken breast into a roll (involtini). 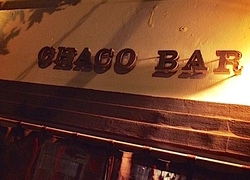 Secure with tooth picks and cotton or string. 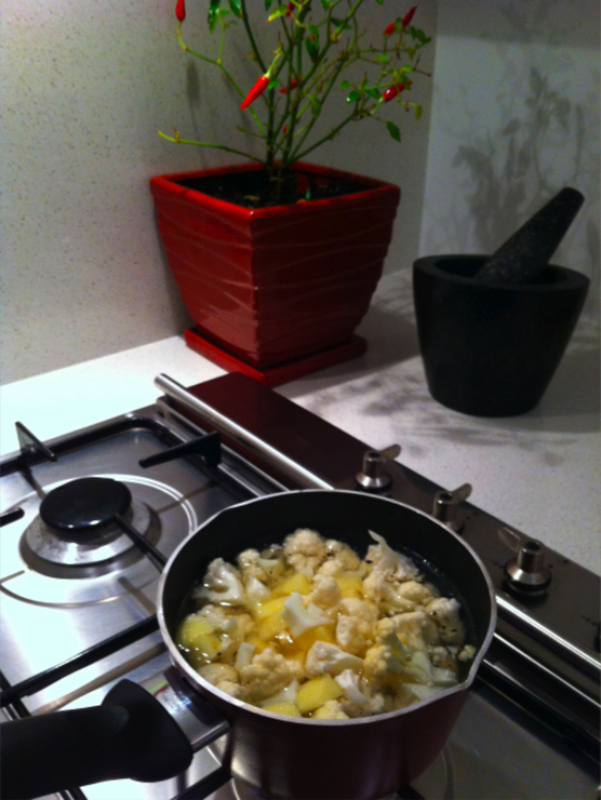 Add 2 cups of white wine while pan frying. Reduce to a low heat to allow the liquid to reduce into a caramelized sauce. 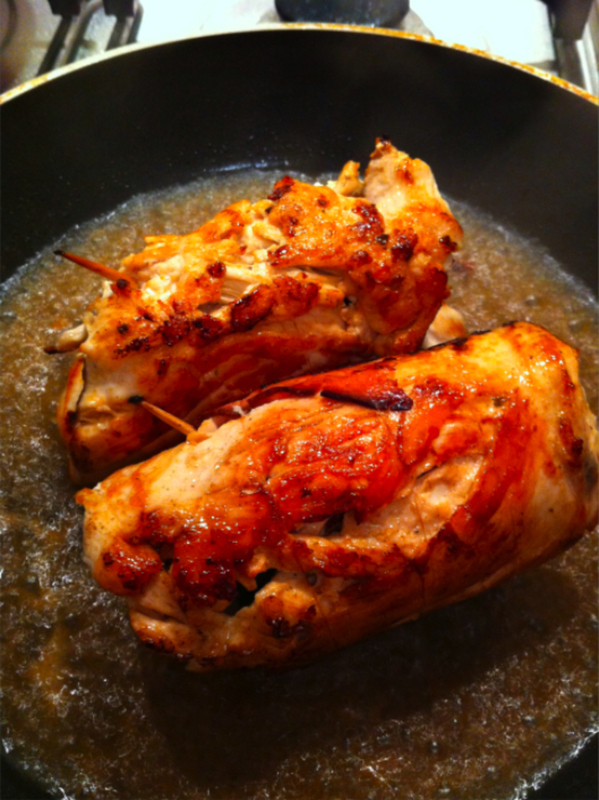 Remove the chicken and position onto the puree then using a spoon drizzle the caramelised sauce over the chicken involvtini and puree.